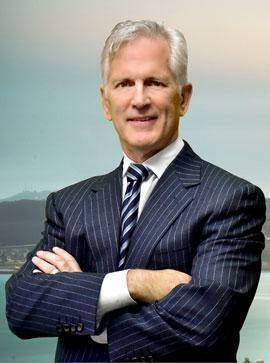 Principally serving the Bay Area, including Marin County and the wine regions of Sonoma and Napa Counties, Paul Burglin is regarded by his peers as one of the most seasoned and accomplished DUI defense attorneys in California. Since 1985, Mr. Burglin has represented more than 5,000 individuals charged with DUI. He has been lead counsel in more than 120 DUI jury trials in his 32-year career, and he is widely known and respected by prosecutors and judges as a tenacious advocate for his clients. Mr. Burglin regularly attends the annual National College of DUI Defense (NCDD) seminar presented at Harvard Law School on DUI defense, and he is a Regent on the NCDD and editor-in-chief of its national Journal. He has co-authored the two-volume treatise California Drunk Driving Law since 2004 and is a graduate of the University of Indiana's comprehensive course on chemical testing and scientific protocols in DUI cases. Paul Burglin serves the needs of decent people who have made potentially serious mistakes. Gonzaga University School of Law, Spokane, WA, May 1984, J.D.